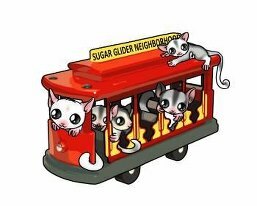 Did you know that The SUGAR (SUgar Glider Advance Research) Group is on facebook? We have a group here: https://www.facebook.com/groups/55708034447/ and a page here: https://www.facebook.com/SUgarGroup. Join our group and like our page to help support The SUGAR Group and keep updated on what we have going on. Please share with your friends, if you'd like as well. Hope to see you all on facebook!